Things to do in Cienfuegos. A short list of the top things to do in Cienfuegos. Don't go to Cienfuegos without looking at this list first! The Paris of Cuba is a laid-back city on the coast with excellent food, nightlife, and beaches. The best things to do in Cienfuegos are sip coffee with local storytellers, hike along the beach, shop, and eat seafood. This patio pulses nightly with the beats of salsa and son music. Locals and travelers alike say this is the thing to do in Cienfuegos, especially on Friday nights. Sip wine by the bay in this restaurant with some of the best service in Cuba. Feast on lobster or roast pork and you'll be enjoying one of the most delicious things to do in Cienfuegos! 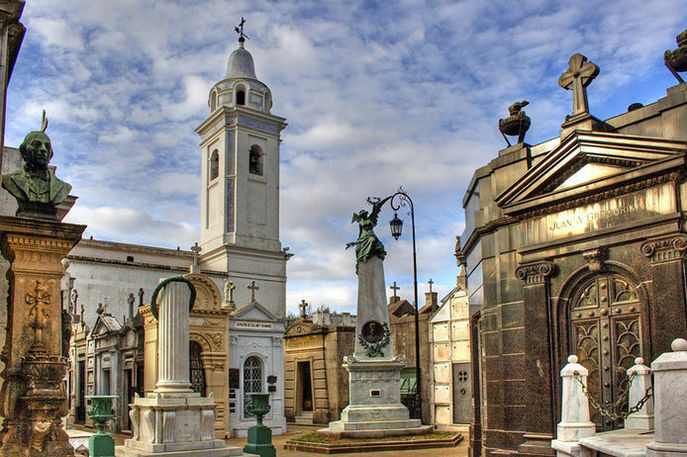 One of the city's oldest cemeteries houses the tombs of numerous Spanish soldiers from the Wars of Independence. All people in this cemetery are interred above ground because of the high groundwater. A tour of Cementario La Reina is on of the most fascinating things to do in Cienfuegos. If there's a show going on at Teatro Tomas Terry during your stay in Cienfuegos, you must go see it. If there is no show going on, seeing the theater is still one of the top things to do in Cienfuegos. The facade is covered in glittering gold-leaf mosaics while inside you'll find intricate hardwood carvings. This kitschy restaurant looks like an ornate casbah dropped in Cuba straight from Morocco. It's one of the more bizarre (but fun!) things to do in Cienfuegos. Enjoy a drink on the terrace bar with amazing views of the bay. The Arch of Triumph in Cienfuegos is the only French-style arch anywhere in Cuba. It is a symbol of Cuban independence located on the edge of Cienfuegos central park. It's a beautiful site to see when you travel to Cuba.